Today’s post is a quick update to let you know about a few little upgrades here on This Week for Dinner. Some of you have been asking for these things for a loooong time, so I’m happy to finally deliver! We now have a mobile version of the website! Woohoo! It will be much easier to view and navigate the site on your phones and tablets now. 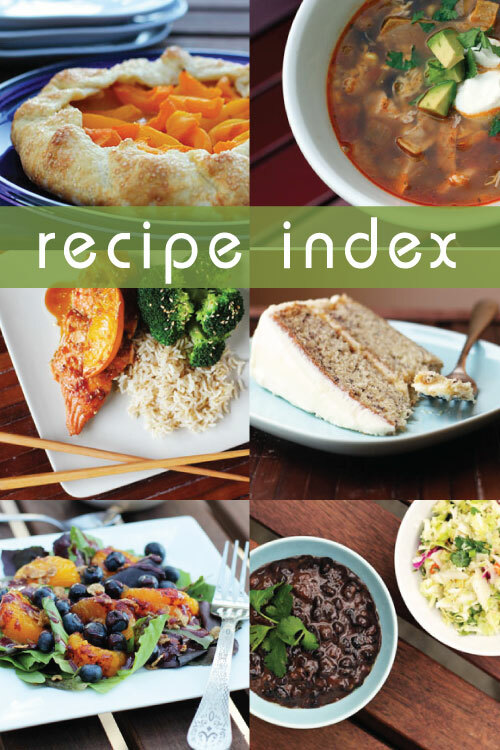 We now have a recipe index, with links to all the recipes on the website, organized into all kinds of handy categories. You’ll be able to access the recipe index from the top navigation of the website (look top left!) as well as under the recipe category in the secondary navigation (coming soon!). In addition, the recipe index is very easily accessible from the top drop-down navigation menu on your mobile device. Recipes have a brand new look and feel. You can see examples here, here and here. My assistant (yes, I hired an assistant and I love her to PIECES – shout out to Rachel!) and I are going to be updating all the recipes on the site to the new format over the next few weeks. In addition to the recipes being prettier, they will be linked to ZipList. What is ZipList? Well, read the next bullet to find out! I am now partnered with ZipList, so you’ll be able to save recipes to your own recipe boxes as well as create shopping lists. I’ve been meaning to hook up with ZipList for years but my recipes weren’t formatted properly. Now I’ve got my act together and we can get this show on the road! A virtual assistant?! Go you! Love all the new features. I can’t even tell you how awesome it’s been – can finally get all these great things done!! 🙂 it took a while for me to pull the trigger but glad I finally did. Gor. Geous!!! I love it! My phone is my assistant in the kitchen oftentimes. So, it will be great to have the mobile site available. How exciting and wonderful for you! Awesome! And I’m trying ZipList out and liking it so far. Thanks!